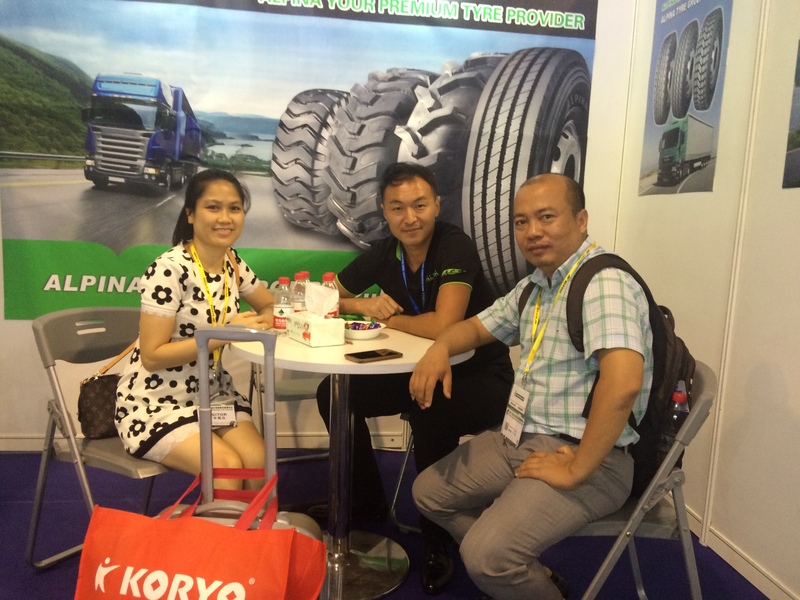 ALPINA In Shanghai Tyrexpo 2015 - ALPINA TYRE GROUP CO.,LTD. For all the tyre guys,2015 is a very difficult year. Market full of competitions, Currency exchange rate kill all the tyre importers.Many customer have to clear the stocks with much loss. Eventhough we face many risk and difficulties in 2015, We still believe we will have a brightly 2016. We just need to stay together and look after eachothers. Then we will suivive and develop in 2016. Thanks all the customers stay with ALPINA TYRES,We will look after you for ever.